The project summary produces an HTML Document with an overview of the project. You can choose which information is output to the summary document. The XSLT Stylesheet option allows you to use your own custom stylesheet to control the format of the output. If this field is left blank the default stylesheet (<install directory>\Stylesheets\CreateProjectSummaryFromProject.xsl) will be used. 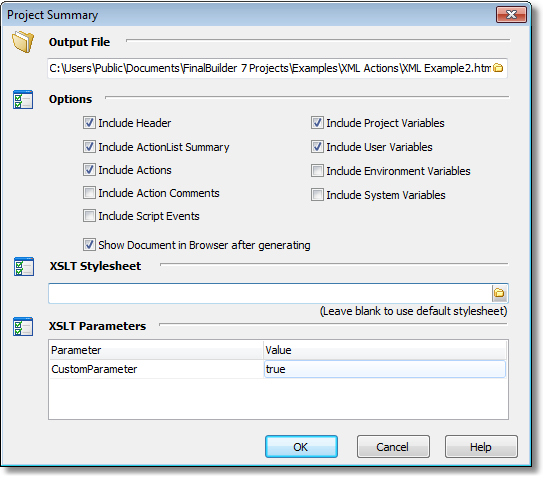 The XSLT Parameters allow you to pass custom parameters to your stylesheet.